Cool down with a sno-ball, a fine and fluffy New Orleans delight! Not to be confused with a snow cone, sno-balls are a seasonal treat generally sold only from roughly March to October. Pandora's, a tiny little stand near City Park that also serves soft serve. Try the iconic family-run Italian bakery and gelateria, Angelo Brocato's, which has been pleasing ice cream fanatics for 100+ years. Try the the Tchoupitoulas Challenge—a huge 8-scoop sundae— at Creole Creamery. 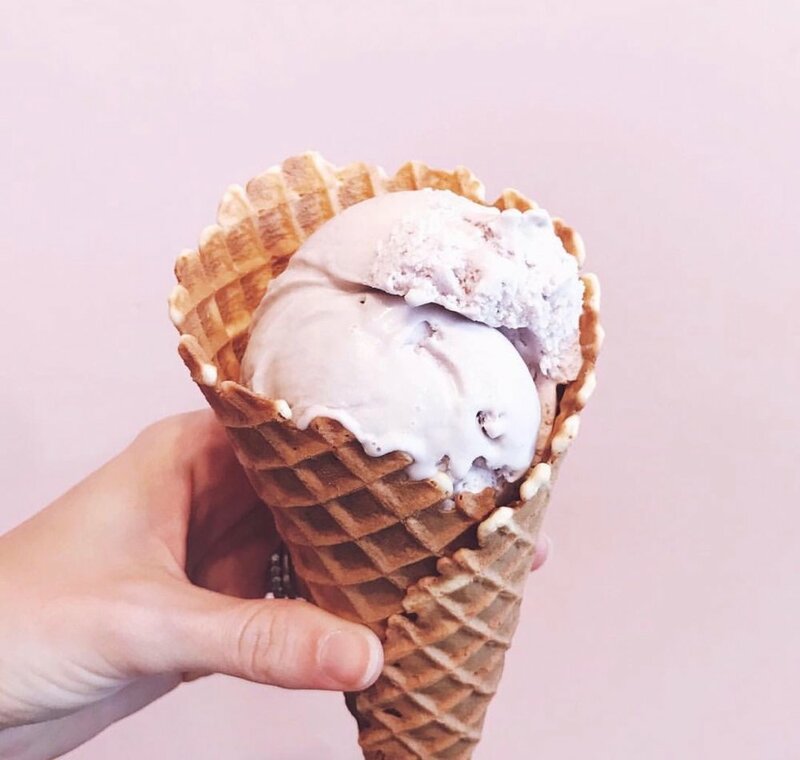 Head over to Sucré for a few scoops of creamy gelato, and while you’re there, try the macaroons or one of Sucré’s many amazing pastries and deserts. Looking for something new and different? Try Freezy Street on St. Claude Avenue, which was solely responsible for bringing the Thai rolled ice cream trend to a storefront in New Orleans. Who doesn't love a frozen drink? Willa Jean, the CBD brunch mecca's new slushie, the Frosé Y'all—a frozen rose— has become one of the most popular summer drinks in the city! The Delachaise also has a tasty frosé and a friesling, a frozen riesling. Compere Lepin serves up daiquiris with a true tropical flair and lots of seasonal concoctions. In the Riverbend, Bourree was opened as a daiquiri and wing shop, where Nathanial Zimet and James Denio, the owners behind Boucherie, have been slinging fresh fruit and gin and tonic daiquiris for more than a year. New Orleans has an abundance of hotel pools to cool off and relax at. Some hotels offer rooftop views of downtown, some come with cabanas and poolside service, and a few pools are tucked away in private courtyards. The Ace Hotel has a trendy rooftop pool that's open to the public daily (10 a.m. to 9 p.m., year-round)—non-guests have to spend at least $20 on food or drinks to swim, though. The Roosevelt New Orleans's pool is open seasonally, the rooftop pool has a whirpool tub, private cabanas for rent, poolside service, and a full bar with frozen concoctions. While only open to hotel guests, the Roosevelt occasionally hosts events that open the pool to the public. For more ideas on things to do in New Orleans, scroll through the posts below!